Bert Chapman, Geopolitics: A Guide to the Issues (Contemporary Military, Strategic, and Security Issues) (New York: Praeger, 2011). Scholars profiled include Thomas P.M. Barnett, Simon Dalby, Andrew S. Erickson, Colin Gray, Jakub Grygiel, J. Mohan Malik, Mackubin Thomas Owens, Chris Seiple, Francis P. Sempa, and Gerard Toal. Andrew Erickson is an associate professor in the U.S. Naval War College’s Strategic Research Department and one of the founders of that department’s China Maritime Studies Institute. He has also worked as a Chinese translator and technical analyst for Science Applications International Corporation and has been employed with the U.S. Embassy in Beijing, U.S. Consulate in Hong Kong, U.S. Senate, and White House. He received his BA in history and political science from Amherst College and an MA and PHD in international relations and comparative politics from Princeton University. His research specialties include Chinese military and foreign policy, Japan/East Asia security and international relations, maritime and aerospace technology development, energy resources and geostrategy, military basing, and power projection. “China’s Oil Security Pipe Dream: The Reality and Strategic Consequences of Seaborne Imports.” Naval War College Review, 62 (2) (Spring 2010): 88-111. Andrew S. Erickson, Lyle J. Goldstein, and William S. Murray. Chinese Mine Warfare: A PLA Navy “Assassin’s Mace” Capability. Newport, RI: Naval War College Press, 2009. “Using the Land to Control the Sea? Chinese Analysts Consider the Anti-Ship Ballistic Missile.” Naval War College Review, 62 (4) (Autumn 2009): 53-86. 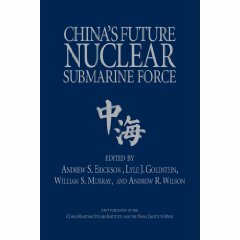 “Chinese Theater and Strategic Missile Force Modernization and Its Implications for the United States.” Journal of Strategic Studies, 32 (1) (February 2009): 67-114. 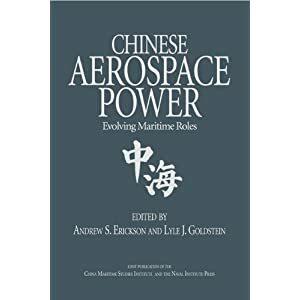 “Can China Become a Maritime Power?” In Asia Looks Seaward: Power and Maritime Strategy, ed. Toshi Yoshihara and James R. Holmes. Westport, CT: Praeger Security International, 2008: 70-110. Andrew S. Erickson, Gabriel B. Collins, Lyle J. Goldstein, and William S. Murray, eds. 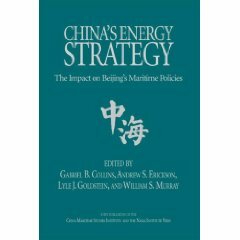 China’s Energy Strategy: The Impact of Beijing’s Maritime Policies. Annapolis, MD: Naval Institute Press, 2008. Additional information on Erickson can be found at http://www.andrewerickson.com/ and http://twitter.andrewserickson. This concise introduction to the growth and evolution of geopolitics as a discipline includes biographical information on its leading historical and contemporary practitioners and detailed analysis of its literature. Geography is more important than ever in an increasingly globalized world, one in which economic, environmental, and international security events can dramatically affect national and international economic performance and personal living standards. What are the hot issues—and the hotspots—that make an understanding of geopolitics so important? An important book on a topic that has been neglected for too long, Geopolitics: A Guide to the Issues will provide readers with an enhanced understanding of how geography influences personal, national, and international economics, politics, and security. The work begins with the history of geopolitics from the late 19th century to the present, then discusses the intellectual renaissance the discipline is experiencing today due to the prevalence of international security threats involving territorial, airborne, space-based, and waterborne possession and acquisition. The book emphasizes current and emerging international geopolitical trends, examining how the U.S. and other countries, including Australia, Brazil, China, India, and Russia, are integrating geopolitics into national security planning. It profiles international geopolitical scholars and their work, and it analyzes emerging academic, military, and governmental literature, including “gray” literature and social networking technologies, such as blogs and Twitter. Bert Chapman is government information, political science, and economics librarian and professor of library science at Purdue University in West Lafayette, IN. He is the author of three previous books, including Praeger’s Military Doctrine: A Reference Handbook. Andrew S. Erickson and Lyle J. Goldstein, “Gunboats for China’s New ‘Grand Canals’? 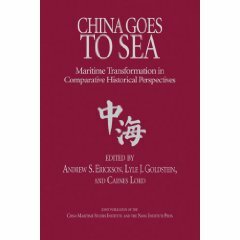 Probing the Intersection of Beijing’s Naval and Energy Security Policies,” Naval War College Review, Vol. 62, No. 2, Spring 2009, pp. 43-76.